Smoking is now banned in public places throughout the whole of the United Kingdom but people are still struggling to kick the habit but most people find it extremely difficult to give up abruptly. Most smokers want to stop smoking for health reasons. It is a well established scientific fact that smoking increases the risk profile for certain types of cancers, heart disease and strokes. It is estimated that smoking is a major contributory factor in around 120,000 deaths a year in the UK. Smoking is linked to a number of different types of cancer and it has been deemed to be the cause of 90% of all lung cancer cases and 25% of strokes. It has been estimated that smokers double their chances of having a heart attack. Passive smoking has also been linked to lung cancer and heart disease, which was one of the driving forces behind getting smoking banned in public places. Although most people associate smoking with lung cancer, it has also been shown to be a risk factor for other types of cancers such as stomach, mouth and throat. The risk is directly associated with the number of cigarettes smoked and the length of time that someone has been a smoker. The risks are reduced once smoking has been stopped so quitting the habit can save your life if you intervene at the right time. It has been estimated that people who have been smoking since adulthood and who quit before the age of 35 should have the same life expectancy of a non-smoker. Opting for low tar cigarettes will not help you avoid cancer if you continue smoking. Although tar is one of the principal carcinogens, there are other chemicals present such as benzene and cadmium which are also carcinogenic. Smoking causes a narrowing of the arteries through a furring up process known as atherosclerosis. This makes the blood more likely to clot and can cause increases in blood pressure - both serious risk factors for stroke. If you are a smoker with high blood pressure then you are 20 times more likely to have a stroke than if you were a non-smoker with normal blood pressure! Smokers have twice the chance of having a heart attack as non-smokers. When a cigarette is smoked it releases chemicals into the body that cause the arteries to develop sticky walls causing fat deposits to collect, leading to atherosclerosis which can cause the lining of the artery to rupture and a clot to form, increasing the risk of a heart attack. From an optimistic perspective, this condition is reversible if smoking is ceased. It will take around 10 years for the arteries to recover but the prognosis is good for most people who give up smoking in time. Many smokers can develop conditions such as chronic bronchitis and emphysema. These conditions are covered by a term known as Chronic Obstructive Pulmonary Disease or COPD. Once you stop smoking then the risks of developing COPD are reduced and if you already have it, the rate of progression is decelerated. Although smoking can cause very serious health issues as outlined above, the good news is that if you give up in time then you can reverse the damage that has already been inflicted on your arteries. Not all conditions can be reversed once the process has started but the general prognosis is good for most smokers who give up before they reach middle age. 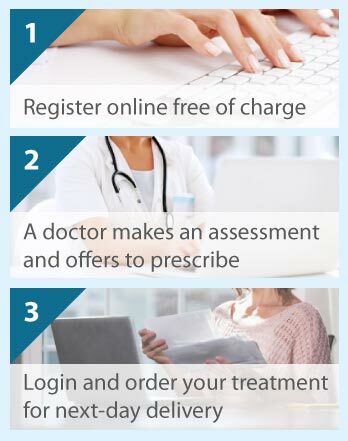 There are a number of treatments available to help people give up smoking and The Online Clinic offers free consultations for anyone who wants to stop smoking.